While the idea of covering lockets with polymer has been around for a while, Sydney, Australia’s Rocky Antonio turns the idea on its head! The necks on Rocky’s charming Matryoshka dolls are made from lockets turned sideways. Jumprings baked into their heads allow them to be suspended from chains as pendants or charms. Study more pictures here and start your engines this week with a updated, upcycled twist on an old idea. What a great idea. I love it when someone looks at something in a different way. These are darling. I have some of those lockets (intended for use with pc) but would never have thought to use them that way. I love Matroyshka dolls and those are adorable! Thank you so much for this wonderful feature, Ms. Cynthia! 🙂 More power to Polymer Clay Daily! That’s such a clever idea! Adorable Matryoshkas. Now, THAT’S thinking outside the box! Such sweet faces, too. Beautiful and so clever! 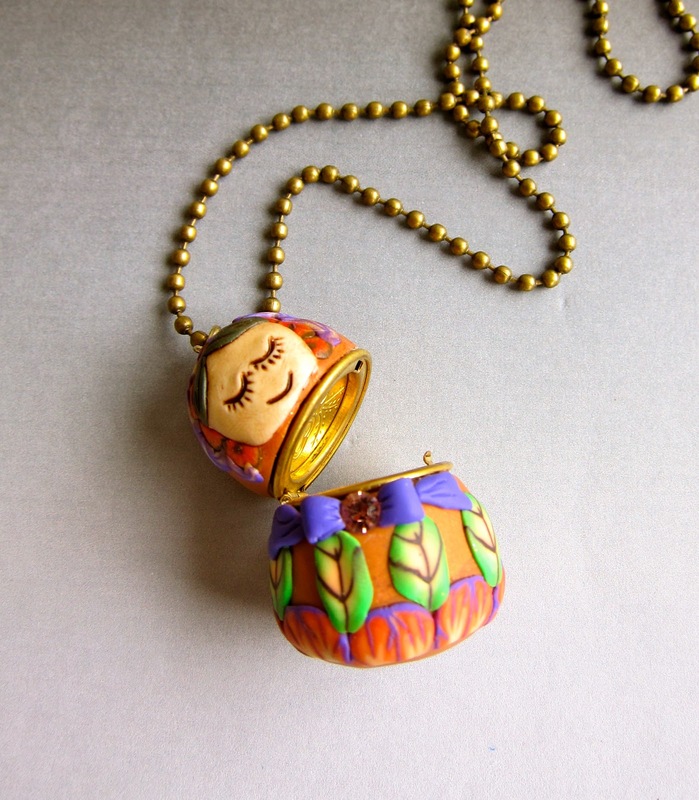 these lockets are such a cool idea!